Believe it or not, teachers are not equipped with everything they need in order to implement every lesson they want to deliver. Shocking, I know! Many of us spend our own money to support our classroom needs (I myself habitually spend about $1000 per year for classroom supplies), but sometimes budgetary restraints prevent us from doing even that. 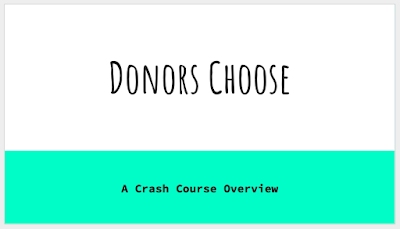 Donors Choose is an excellent solution! It's just what you think -- crowd funding for classrooms. I almost always have a Donors Choose project in the works. If you'd like to see (and perhaps support) my latest Donors Choose project, click here and take a look! Click here to read more about my Cell Phone Charging Station project! 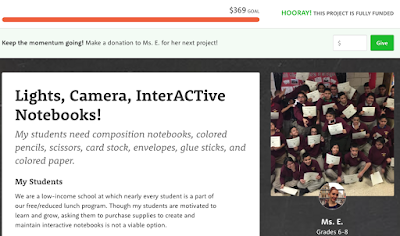 Click here to read more about my Interactive Notebook project! 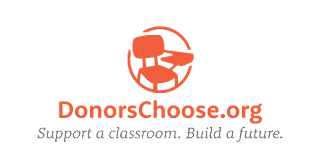 Interested in securing funding for your own Donors Choose project? Check out my tips and tricks for getting your wildest classroom dreams funded! Click here for a Google Slides presentation to get you started!